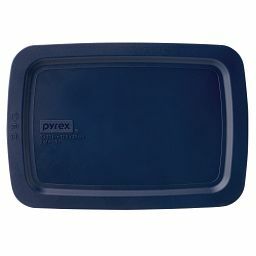 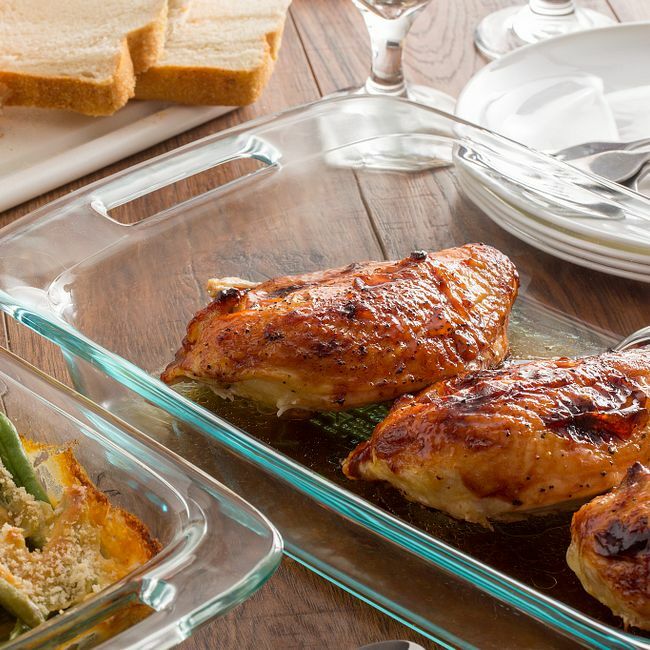 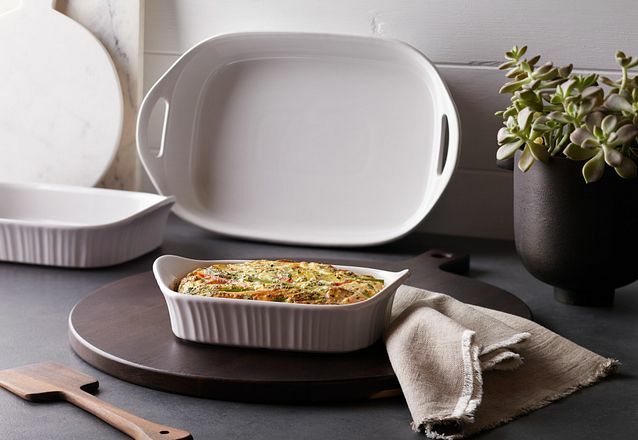 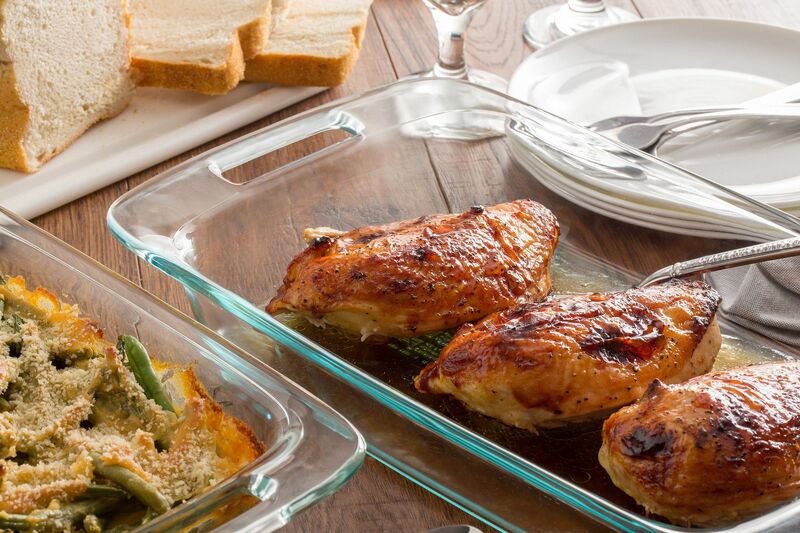 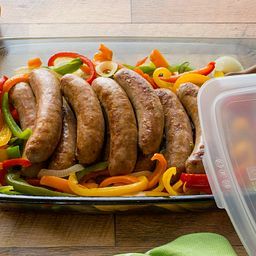 Versatile, durable dishes designed to make cooking and clean-up a breeze. 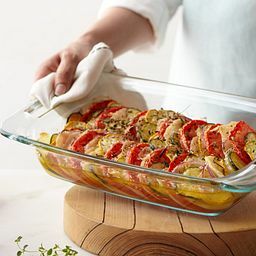 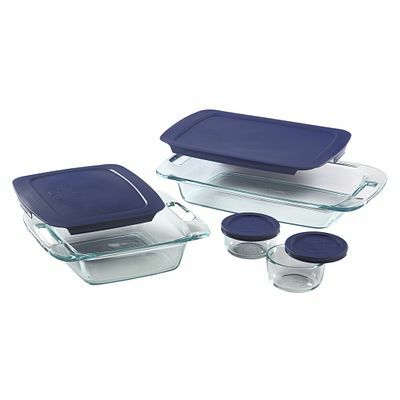 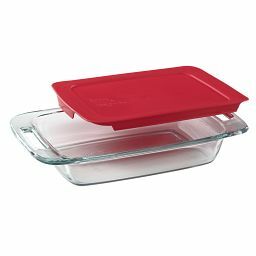 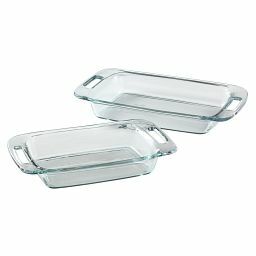 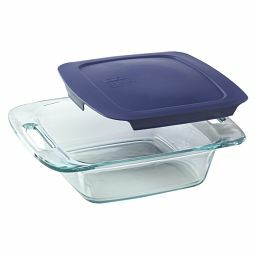 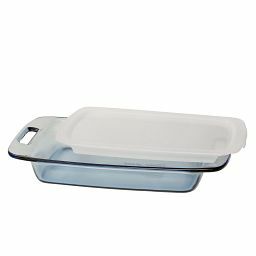 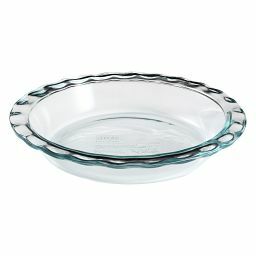 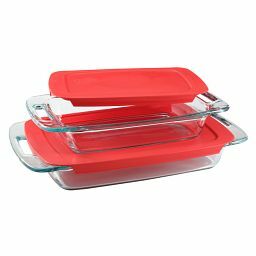 This set pairs two of our most popular baking dishes with two 1-cup bowls, perfect for sauces and toppings. 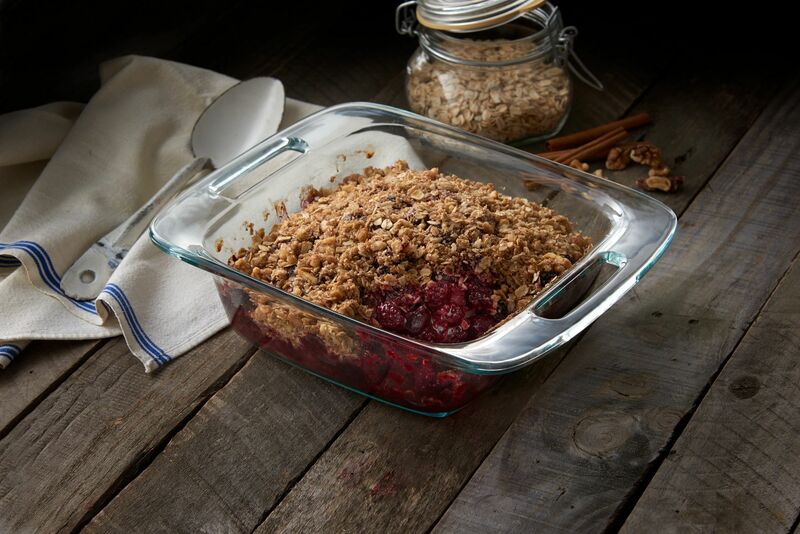 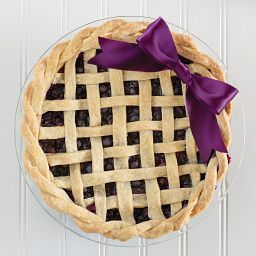 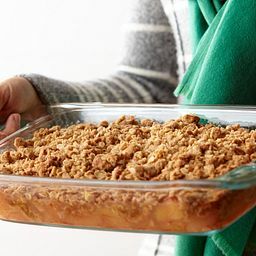 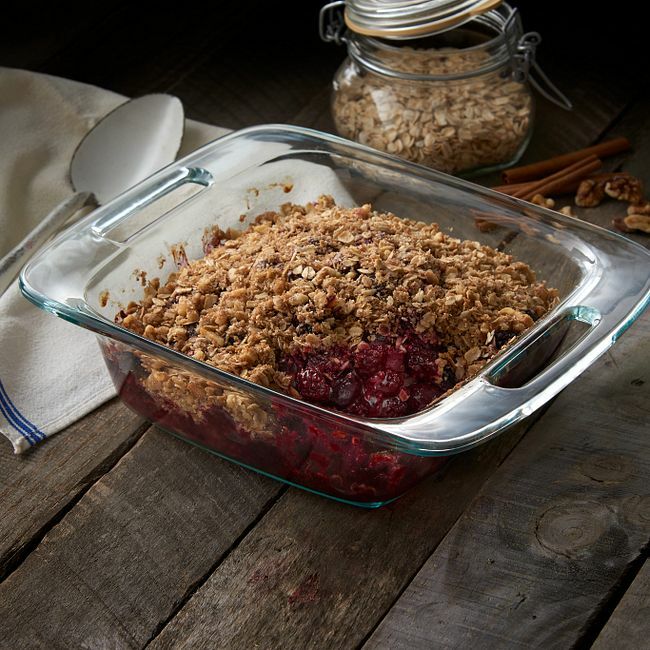 Built-in handles make the bakers easy to carry from counter to oven to table, and snug fitting lids let you use all four dishes for transporting or storing food.